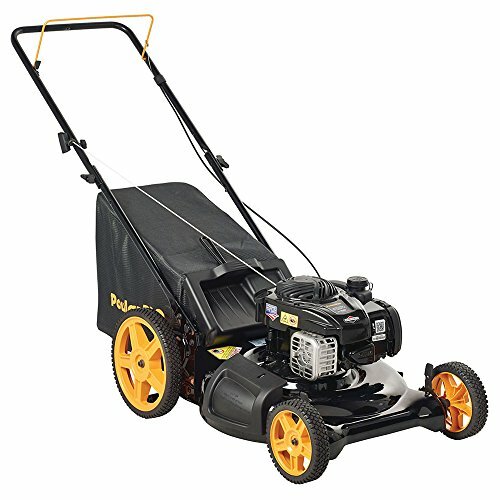 This Poulan Pro model is a good fit for anyone who wants a mower that is easy to maneuver. One thing is that it is relatively lightweight so practically anyone will be able to push the machine without too much trouble. Due to this, you don’t have to worry about tiring yourself out after just a short spell. The other advantage is the wheels. While they aren’t of the highest quality, the rear wheels are considering higher than the front ones. This makes it a breeze to push the mower around most types of yards. The great thing about this machine is that although it is a gas lawn mower, you aren’t going to have to refill the tank all that often. It has been designed to be fuel efficient and because of this, you will be able to make good use of a full tank. So, you can expect to save some money with this mower. 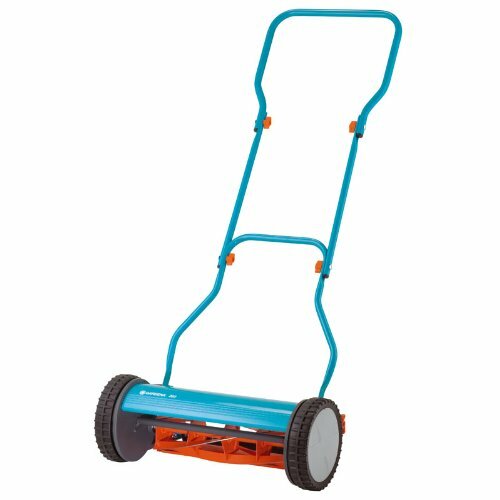 With this mower on hand, you aren’t really going to need anything else to keep your grass looking good. The mower makes it easy to bag, side discharge, or mulch your garden for you. The one area that it does tend to lag, however, is in tall grass. There is a good chance that the model will stall in anything taller than about four inches. One of the main reasons to buy this lawn mower is the Honda engine. 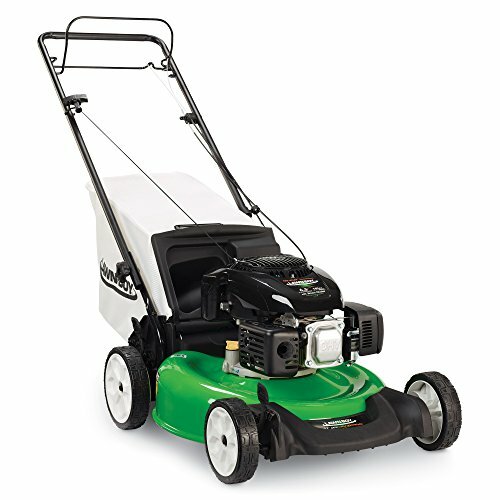 It is a strong and long-lasting model that makes it easy for you to cut through most types of grass in gardens. This is not an engine that will give out easily and as an added benefit, it is quite easy to get it started as well. 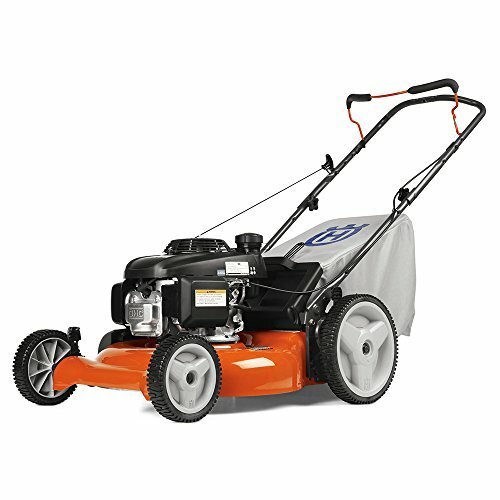 What makes the Husqvarna a good deal is the fact that it is a versatile lawn mower. For example, one of the features that make it quite so unique is that you can choose from nine adjustable heights. This gives you the choice of having grass that is as short or as long as you like. This is also a lawn mower that you will find easy to store. The handle folds down so that the machine becomes more compact – it can even be transported in your car! Unfortunately, what is really lacking in this material is quality materials and workmanship. So, you may have to contend with the machine not arriving to you in good condition or you having to make some repairs down the line. Sometimes, there is really no substitute for an old-fashioned lawn mower. If this is how you feel about it, then the Gardena push mower will be right up your alley. Since it just relies on the power of your own muscle, this is an incredibly low maintenance machine. Not only can you begin to use it straight away, you won’t find yourself bogged down with repairs time after time. Considering that you will be providing all of the power for the grass cutting, you will be relieved to know that this is actually quite a light mower. You will have no trouble pushing it around without getting tired, even if you own a sizable garden. The other great thing is that you get your pick of mowing lengths as it is all adjusted by hand – you get to choose practically any height that you want! One of the more notable features on this mower is the cutting cylinder. In addition to being made of durable steel, it has also been painted over with a non-stick coating. So, even when mowing wet grass, the grass will simply fly off, making sure that the blade is not dulled in any way. The thing to remember about this is lawn mower is that it does have its limitations. So, if you are trying to cut through particularly long or tough grass, you are going to have to go over the same patch a few times. Let’s face it, when it comes to lawn mowers, one of the most annoying things is a machine that doesn’t start. Well, this Lawn-Boy model comes with assurances that it will take no more than two pulls of a cord to get it running, for up to three years. In case you experience any troubles, the manufacturer will handle it for you. Of course, being a self-propelled lawn mower, one of the main features of this machine is its ability to be moved around your garden. Not only does it maneuver incredibly easily, this mower works well with a wide variety of terrain. Whether you are using it over uneven ground or a hilly spot, you will have no issues to deal with. Not only does this lawn mower pretty much do all of the work for you, it is also very light, making the task at hand even easier. The one downside with this mower is the height adjustment feature. It has a tendency to fall down, only allowing you to cut your grass to the lowest level. There are a few things to consider before purchasing a lawn mower. To start with, you will need to think about your lawn – for instance, how big is it and what kind of grass are you going? Do you have a spacious or small yard? Is the grass thick, sparse, short, or long? This will make it easier to narrow what type of lawn mower that you need. If your grass is short and not all that thick, you will be able to make do with a traditional push mower. Anything tougher than that will require a gas or electric powered mower. If you have a small space then a push mower will be more than sufficient to get the work done. On the other hand, a larger piece of land would need a self-propelled lawn mower so that you don’t tire yourself out from all that work. The other thing to consider is how much time and effort you want to put into your lawn mower. If your answer is not much then an electric mower may be a good idea. Of course, this means that you will be on a strict time limit due to the battery charge on the mower. If you are a more hands-on individual, you may not mind the added work required with a gas mower. The payoff here is that these often have a long lifespan and can work for greater lengths of time. Last but certainly not least, you should always check the warranty on your lawn mower. This will determine just how much support you receive in the event that the mower breaks down or needs replacing. This concludes the list of the best lawn mowers that you can find for less than three hundred dollars.